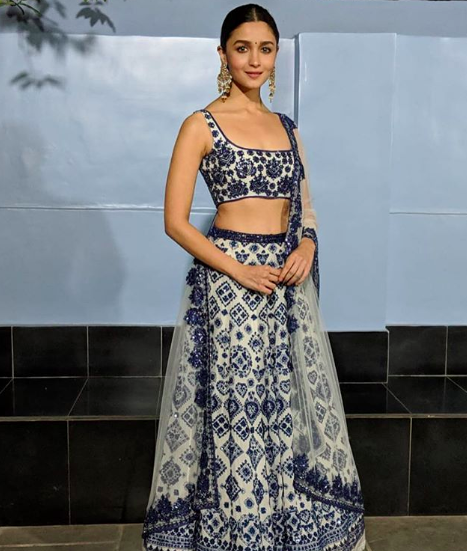 Alia Bhatt Looks Like A Complete *Radha* At Isha Ambani's Wedding, But Where's Ranbir? Just in time to flood your social media feeds are these extravagant photos from the big fat Ambani wedding. In case you needed an update, Isha Ambani, the daughter of Mukesh Ambani is all set to tie the knot with beau Anand Piramal. The wedding preps were on in full swing at a bedazzled Antilia, the Ambani residence in Mumbai. And, while all the celebrities swarm the Ambani residence, our eyes were locked on Alia Bhatt. She arrived looked like her bubbly, adorable self, but what we can't get enough of is her outfit and her makeup. 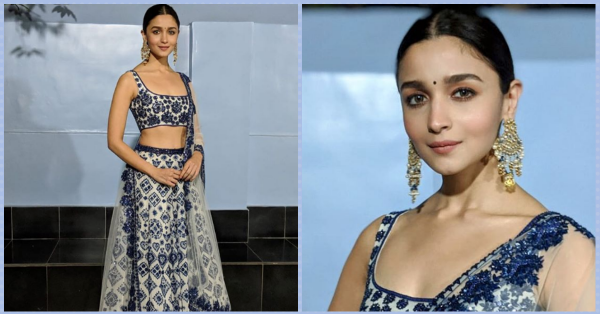 Clad in a beautiful blue and white embroidered lehenga by Manish Malhotra, paired with gold, chandelier earrings from Amrapali, Alia's look for Isha Ambani's wedding is understated chic at its best. The unconventional choice of colours in the lehenga is what makes this one of our favourite #OOTDs! Her makeup, in line with the Pantone colour of the year - is all shades of coral. And that's a fantastic choice of colour for an outfit like this. It brings just the right amount of warmth to her complexion! And the makeup artist responsible for this bubbly, girl-next-door look was Puneet B Saini. 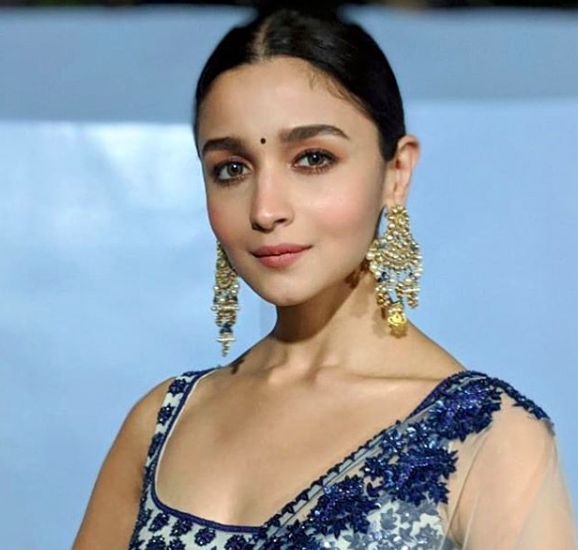 She's the magician that does all of Alia's breathtakingly beautiful makeup, in case you didn't know. Temped to try out the look for yourself now? Need help in picking out the right makeup products? Check this out! The Ambani wedding festivities began earlier this week while all of Bollywood, Beyonce AND Hilary Clinton arrived at Udaipur for the Sangeet ceremony. A quick glance through the photos will tell you exactly how the Ambani's like to party! They even welcomed the baraat on ghodis! But don't go just yet ladies. There's lots more coming! So, click here for more updates on the Ambani wedding!